American Saddlebred lover's needed! Please anyone in your family with this Sterliing Silver pendant. 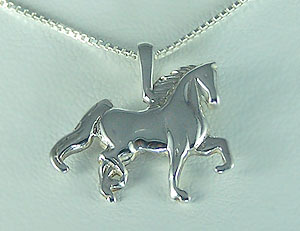 Enjoy this beautiful Sterling Silver Saddlebred pendant. Offering a two dimensional design.